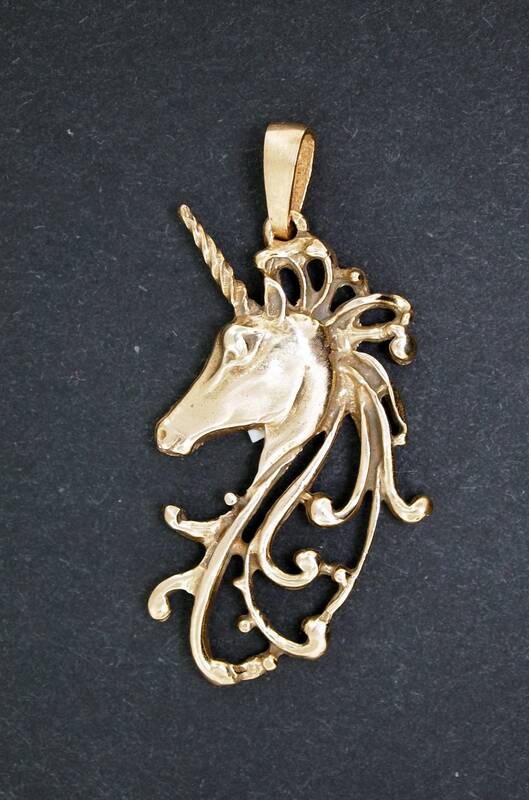 This antique bronze unicorn pendant's design dates from around the 50's and has been remade for a new audience! 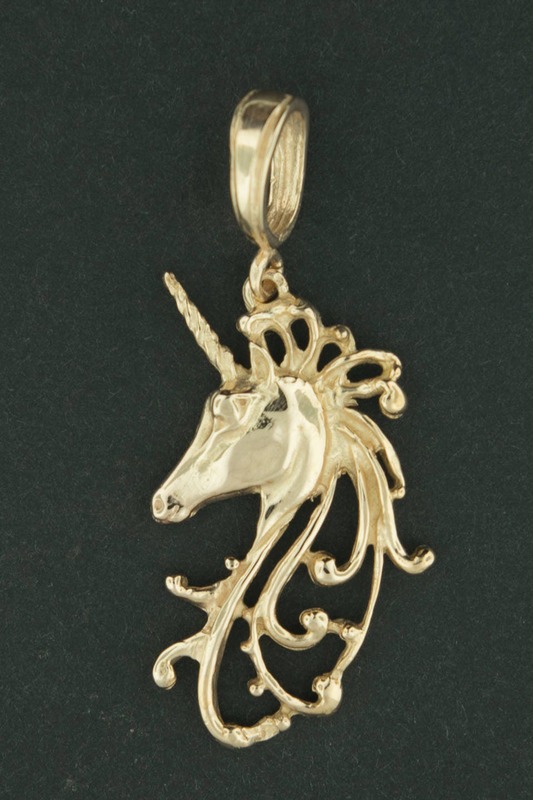 The pendant is 1.75 inches long with the the bail, which is large enough to pass a decent enough chain. The bail can vary from one piece to another.